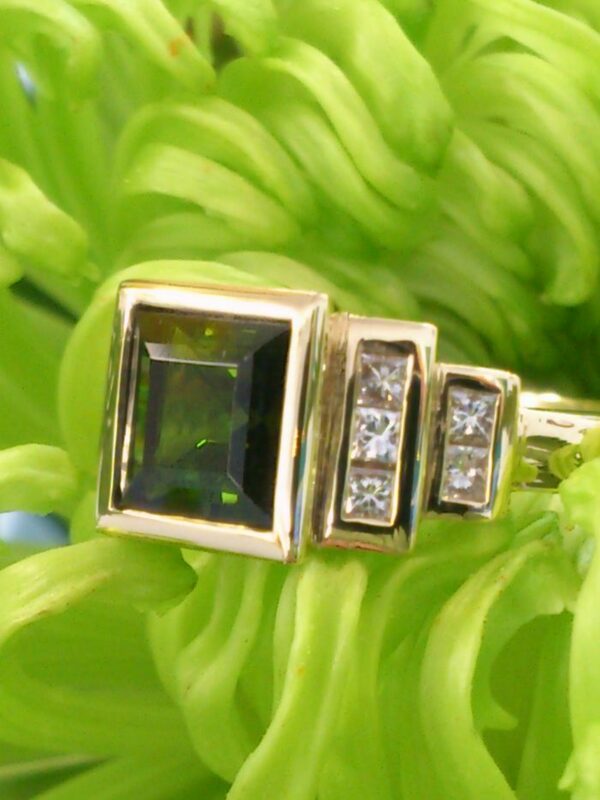 A stunning square deep green tourmaline set in a 18ct yellow gold ring flanked by on each side by 5 x sparkling 0.03pt princess cut diamonds channel set in 2 x rows. 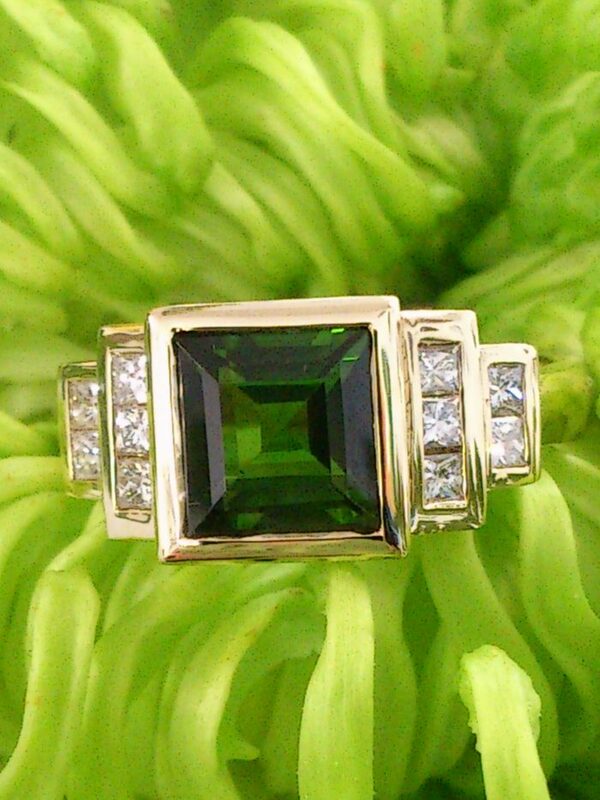 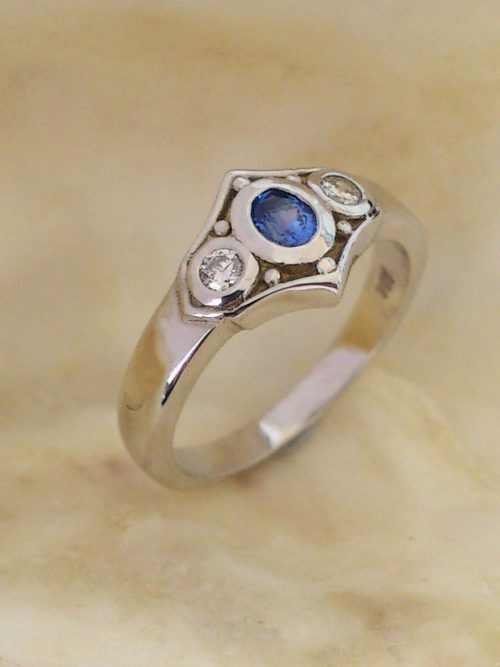 A solid geometric art deco style design that will make a bold statement. 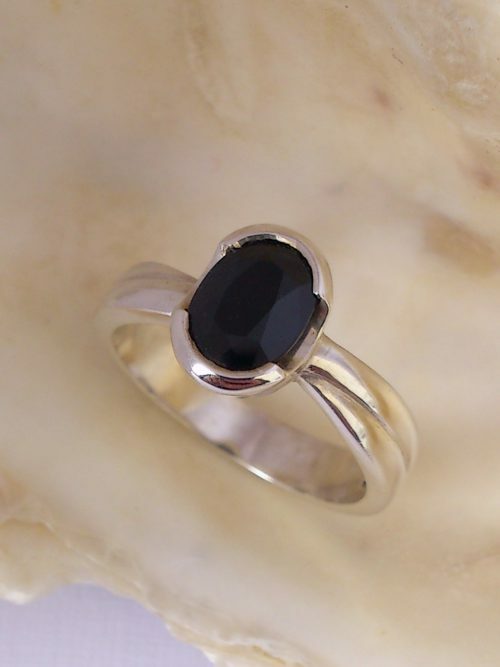 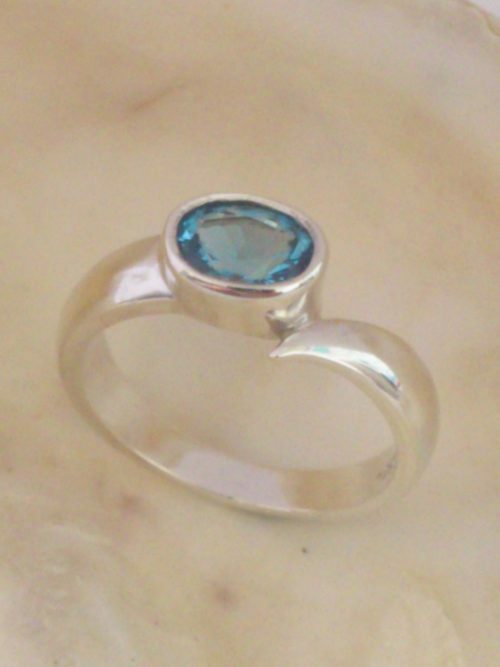 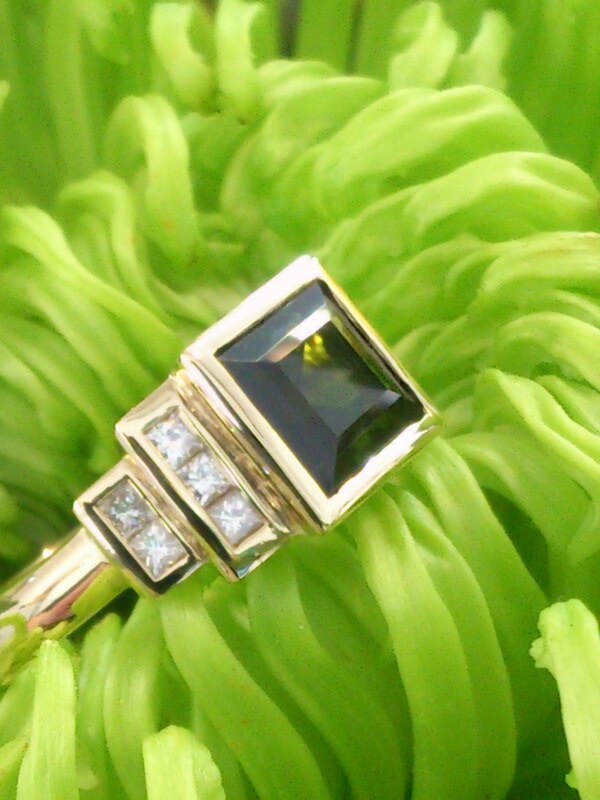 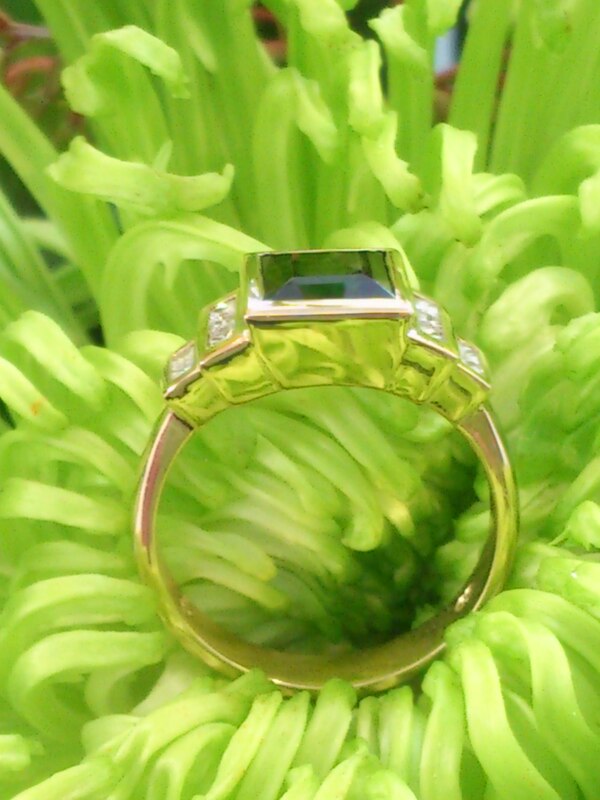 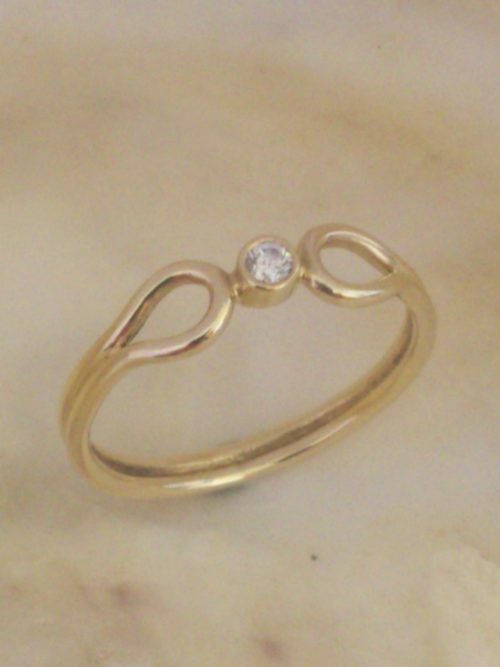 This tourmaline ring is a original one off design.